My Penang friend Philip Khor of philipkhor.com visited me and stayed at Hotel Puri on Heeren Street Melaka so I got a chance to check out the place. 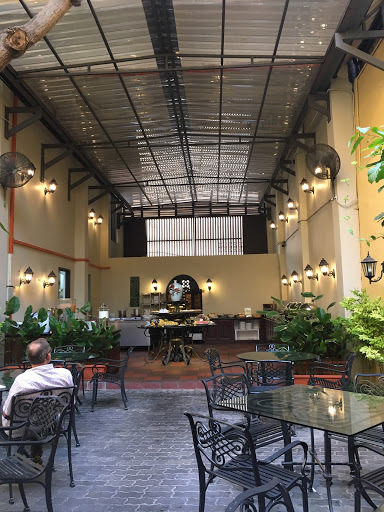 Heeren Street is part of the UNESCO heritage area, and right beside the famous Jonker Street, that means that guests of Hotel Puri are only a five minute walk away from Jonker Street. If you’re driving, complimentary parking is provided in a very safe area, monitored by CCTV. This is certainly a plus, since street parking is extremely limited in this part of Melaka. Even though this hotel has been around for more than ten years, it’s very well maintained and the heritage beauty is well kept. With touches of Chinese art and baba nyonya ornaments, the interior design is classy and elegant. 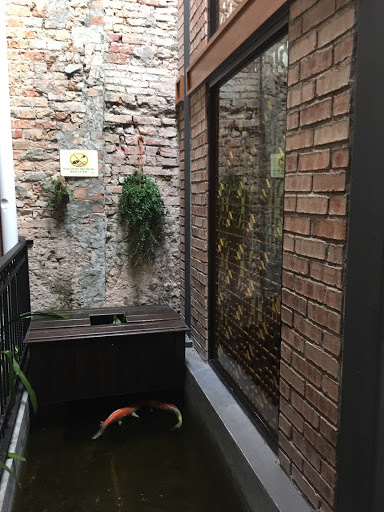 A small glass lift surrounded by a carp pond is cleverly planted in the building so you don’t need to worry about hauling your luggage up the steep and narrow stairs. 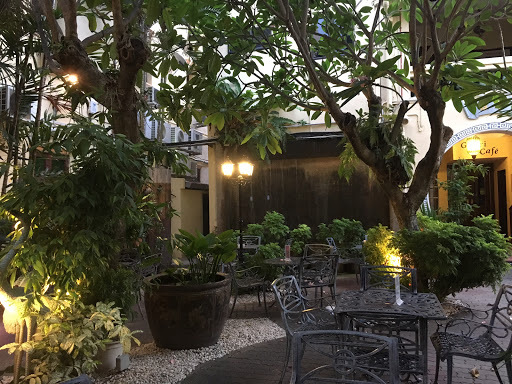 Neatly pruned trees and shrubs adorn the courtyards, one of which functions as the breakfast dining area. The breakfast spread carries a good assortment of Asian, western and local choices. 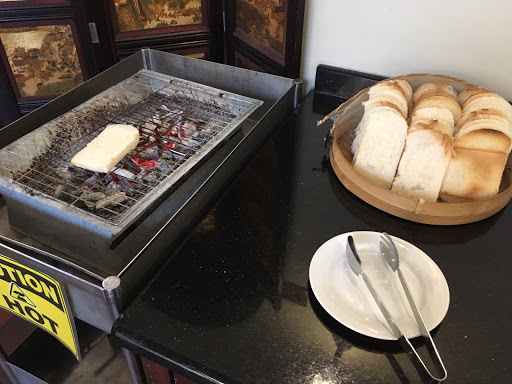 I was delighted to find a real charcoal grill for traditional roti bakar (toast) at the breakfast buffet. I think it’s splendid! Bottom line: If you’re looking to stay in an affordable heritage hotel, this is pretty worth it. I have the Time for about a year now, and the 2 with “Heart Rate monitor” is quite a nice fit. Here’s what I think. *thanks for the 800 views in 2 weeks as of 1 December 2016.